Spray non-abrasive cleaner / polish for stainless steel. A foaming action, non-abrasive cleaner, degreaser and polish which will leave surfaces looking like new and protected with a dry to touch microscopic antistatic film. This will offer lasting protection against corrosion, staining, water and finger marks. 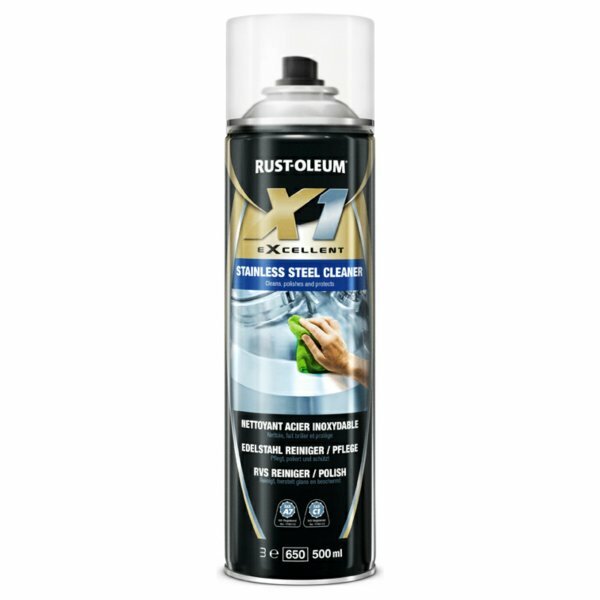 Formulated for use on matt, brushed and other stainless steel surfaces. Can also be used for cleaning aluminium, chrome, composites, laminates, enamel, ceramic and some plastic surfaces (test compatibility before use).